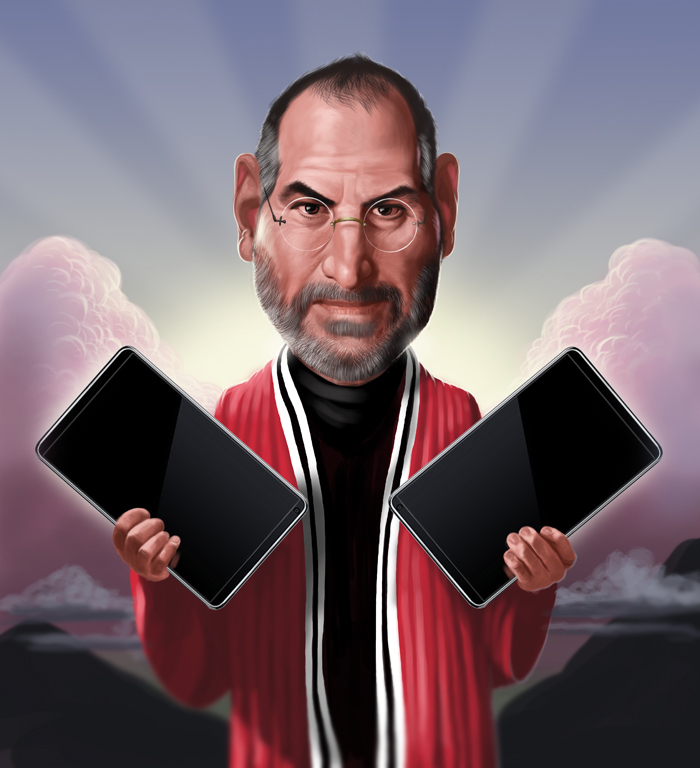 This just posted over at the website The Secret Diary of Steve Jobs (aka “The Fake Steve Jobs”). It has so many great elements to play with intellectually – the intersection of technology and theological study, borderline blasphemy, implied idolotry, and more. I just HAD to share even though it had nothing to do with food. But since we are coming up soon on parsha Yitro – where the Israelites hear the 10 utterances from the mouth of God – and then receive the tablets of the law soon after, I thought the picture might provide an interesting discussion around your Shabbat table. Even sooner (rumor has it), Apple will announce their tablet computer which is supposed to do to electronic book readers (kindle, nook, etc) what the iPod did to MP3 players. This image was created by Dale Stephanos. Please check out his Web site which has some pretty amazing stuff.